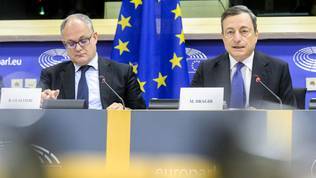 The regular monetary dialogue in the economic committee of the European Parliament with the head of the European Central Bank, Mario Draghi, on November 28 practically marked the end of forecasting and predictability. There were more “we do not knows” and “it cannot be predicted” heard in the room than clear positions and expectations for the future, especially in the context of the results from the presidential elections in the USA and the last referendum for the year, holding the potential to shake the European Union and most of all financial stability – the one in Italy on December 4. Most questions during the dialogue gravitated namely around the risks to euro area stability following the Sunday referendum and the inauguration of Donald Trump in January. Mario Draghi (an Italian), however, adamantly avoided answering those questions. Recent events show quite clearly that the geopolitical situation has turned into the main source of instability in the short term, explained Mario Draghi, but hurried to say that the behavioural model so far is one of strong reactions in the short term, which subside in the middle term. The conclusion, according to Mr Draghi, is that markets have become more resilient than could have been expected years ago. “Does it mean we know what is going to happen in the medium term? The answer is 'no'“, said Mario Draghi, starting a series of “I don’t know”s, because current changes are “too profound” making the assessment of the final result very difficult. In such a period of not knowing what future is coming, it is best that the EU concentrates on its own business – the development of the common market and strengthening the Union. He noted that currently the focus of the European debate is totally shifted from the euro area towards security and although admitting that both subjects need Europe to be unified, he warned that Europe can best protect itself only with a strong and resilient economy. “One important lesson from the crisis is that a half-built house is not stable, it is fragile”, added Draghi and called for progress on the five presidents’ report. In his words, the largest risk at the moment is the impairment of growth. 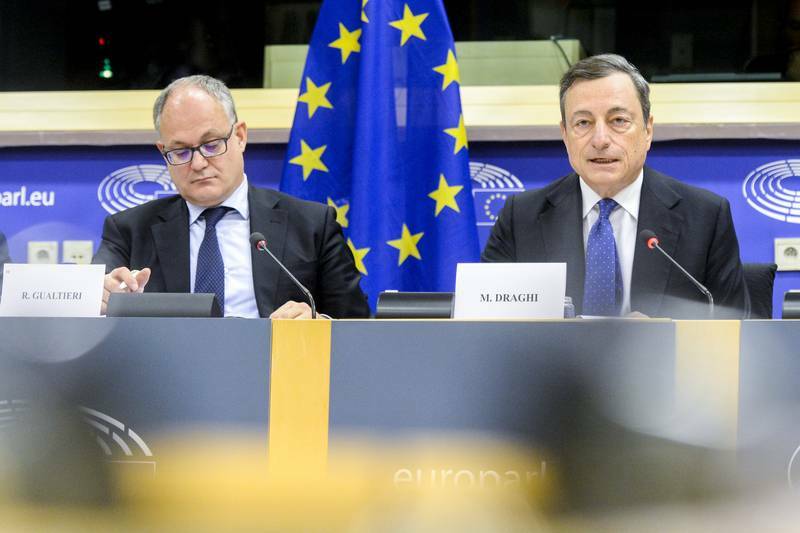 “Low productivity growth, legacy problems in the banking sector and limited progress with structural reforms are all issues that need to be tackled swiftly”, Mr Draghi told MEPs. Another risk is a prolonged period of low or negative interest rates and abundant liquidity, for this is fertile ground for risks to financial stability. Those risks may come from “some other foreign large jurisdiction raising rates” (Mario Draghi did not explicitly name the United States) or from other sources. Currently, the largest risk is slow growth. 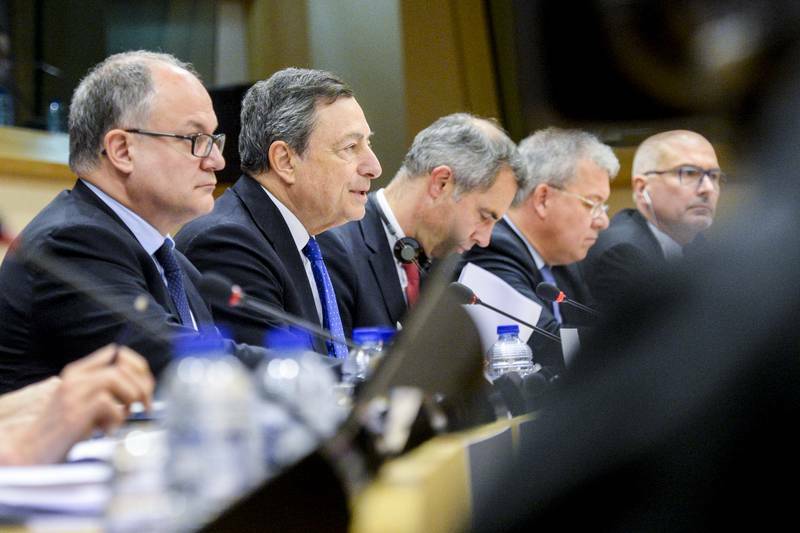 Under pressure from MEPs to say what the ECB is planning in response to a possible uncertainty, coming from the USA and Eurosceptic parties in Europe, Mario Draghi hinted of new decisions of the ECB Governing Council in December. At its meeting then, the GC is expected to discuss “different possibilities”, which would ensure inflation of under or close to 2% in the middle term. 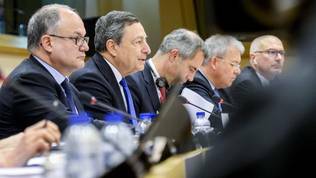 To Draghi the key challenge to the new Washington administration would be its positions on the regulations during the series of meetings of the Basel committee in the following months. Regarding the growing support for Eurosceptic parties over recent years, Mario Draghi reminded that despite that, polls show that people are not against decision-making at the European level in general. What citizens want is finding solutions to problems, which have a cross-border aspect like migration, security, terrorism, and climate change. “By and large citizens have remained supportive for the single currency even in difficult times. Popular support for the euro has remained high throughout the crisis. However, support for national and European institutions dropped notably over the past few years”, he stressed. Responding to demands by MEPs to comment on the possible risks to the Italian banking system from the Sunday referendum, Mario Draghi defended Italy by explaining that public debt sustainability is measured mainly through stability and the ability to repay debts. In this sense, the Italian debt is sustainable. Besides, Italian primary budget surplus (excluding interest payments on debt) is among the highest in member states from the euro area. Anyway, having in mind the debt-to-GDP ration (above 130%) Italy is vulnerable in the case of shocks. This is why, it is important that the country sticks to its commitments on the fiscal rules (the Stability and Growth Pact). He absolutely refused to comment on individual bank cases. The Brexit – one more referendum? For the first time, Mario Draghi discussed at greater length the expectations from the EU exit of Great Britain. His assessment is that the impact will be heavier for Great Britain than for the euro area. “We should never forget that, no matter how economically relevant the UK may be, it is a smaller reality than the euro area. So, anything will certainly have an impact. The size of this impact is by definition bound to be contained given the disproportion in size between the two entities”, explained Mario Draghi. He did warn, however, that the common market cannot go backward. It is important to preserve its integrity and the homogeneity of rules and their implementation. No steps back should be made regarding regulation, oversight, and supervision of banks and financial market infrastructures. It was curious to hear his reply to questions by a British MEP, which could be interpreted as him recommending another referendum in Great Britain. He said that many of the questions connected to the London City are left unanswered. The most important lack of an answer, however, is to the question about what is the concept of the British government. “But we're also looking for a concept by the UK government, for a concept where the UK government will, in a sense, share its views and plans with their own citizens and see what they say about that before we can actually express our views on this”, were Mario Draghi’s words. He did not fail to mention the latest polls, which show that, actually, after the referendum support for European integration in the United Kingdom, contrary to expectations, has grown. However, there is a lot to be learned from this referendum. The main lesson is that the EU needs to produce results in the citizens’ eyes. Only this could reinstate trust in the European project. Mario Draghi was also heard on Monday in his quality of a boss of the European Systemic Risk Board (ESRB) – a body created in the beginning of the crisis to watch for the appearance of great systemic risks. During the hearing, he presented the annual report of the board, which prioritises on the risks stemming from a prolonged period of low interest rates. Within such an environment, pressure has increased on the profitability and solvency of financial institutions, which offer guaranteed return (life insurers and certain pension funds). With time, the resilience of the banking sector also declines. Another problem, outlined in the report, is the necessity of clearing up the problem with data exchange. Reforms, implemented in recent years, have considerably improved the availability of data for the purpose of oversight in different sectors of the EU financial system, but there are still gaps which need to be filled. More specifically, word is of the disclosure requirements and understanding of leverage (regarding investment funds for example). The report sends out recommendations to eight member states, where problems have been found in the middle term at the residential real estate markets. Those are Austria, Belgium, Denmark, Finland, Luxembourg, The Netherlands, Sweden, and the United Kingdom. Mario Draghi warned that protectionism is no solution. It never brought anyone prosperity and does not increase citizens’ welfare. The main problem of globalisation is that there was no protection provided for those who did not manage to take advantage of it. And this needs to be the solution – “not to go back to something, which is probably impossible to go back to anyway through protectionism, but rather take care of the ones who lost a lot through the globalisation process”, recommended the ECB boss following a three-hour dialogue with MEPs of the European Parliament’s economic committee.